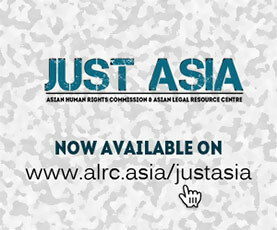 We wish to share with you the following statement from the Asia Pacific Mission for Migrants. The Asia Pacific Mission for Migrants (APMM) is one with the exploited women of the world in the commemoration of the 100th year of the International Women’s Day and in their continuing fight for comprehensive rights in society. Many of such oppressed women are migrant workers and immigrants including those who are undocumented or in an irregular status. Their conditions have been exacerbated by the failure of neo-liberal globalization and have led to more discriminatory and restrictive policies imposed by governments of labour importing countries. One such policy is the national verification scheme of Thailand which is a guise to set the stage for a massive crackdown on undocumented foreign workers and refugees which already started in March 3. This would affect a million and a half persons, most of who are from Burma. In the Middle East and in Taiwan most of those who run away from their employers are female domestic workers who were abused. Instead of being accorded protection and assistance by government authorities, those who were accused by their employers of absconding in the Middle East end up being jailed instead. While in South Korea, Macau, Malaysia and in many other countries there is no let up in the intensification of the crackdown on undocumented migrant workers many of whom are women. Being in an irregular status makes them criminals in the eyes of these governments. And they have no rights whatsoever and physical and sexual abuse on them is done with impunity. Even those who offer humanitarian assistance to them like food and shelter are likewise categorized as criminals. In Macau there is a new law being discussed that would make it a criminal offense for one who rents out a flat to undocumented migrants. Ironically, there is another law set to take effect on April 26, 2010 that would push migrant workers to become undocumented. This pertains to a provision which stipulates that if a non-resident worker initiates the termination of a contract without just cause he/she would be banned to work in the territory for 6 months. Ironically, some of the countries in the region that are some of the most vicious to attack the rights of women are also in the ASEAN formation that will soon come up with a regional instrument on the rights of women and children. Indeed the lives of these women who toil far from their shores are almost similar to the conditions of working women in industrially developing countries 100 years ago. There is still a lot of effort needed to be done in organizing and empowering migrant women workers including those who are undocumented and in encouraging more people to advocate their cause. Examples of this include the member organizations of KASAMMAKO (a Filipino alliance) and the formation of the Migrants Trade Union (MTU) both in South Korea. We shall also push the advocacies on domestic workers of the United for Foreign Domestic Workers Rights (UFDWR) and contribute to the strengthening and expansion of the International Migrants Alliance or IMA. We enjoin all grassroots women to actively take part in the establishment of the International Womens Alliance in August this year. The formation of the IWA shall be another important milestone in the continuing struggle of women for emancipation.